Okies…the final recipe for the week Here’s a new recipe I tried out last weekend. It’s a chocolate cake with chocolate icing!! Double yummy! Want to make one (or more) for yourself…here you go! Lightly grease and flour a 23-cm cake tin. Cream butter with sugar and icing sugar. Sift flour, cocoa, soda bicarbonate and salt into a separate bowl. Spoon into the prepared cake tin and bake for 40 to 55 minutes or until cooked. Sift icing sugar and cocoa together. 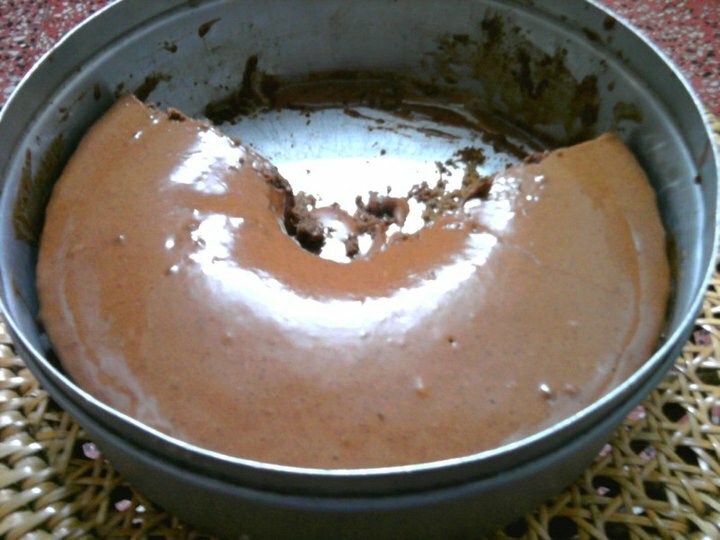 Spoon it over the cool chocolate cake you made and even it out with the back of the spoon.DONE!!! 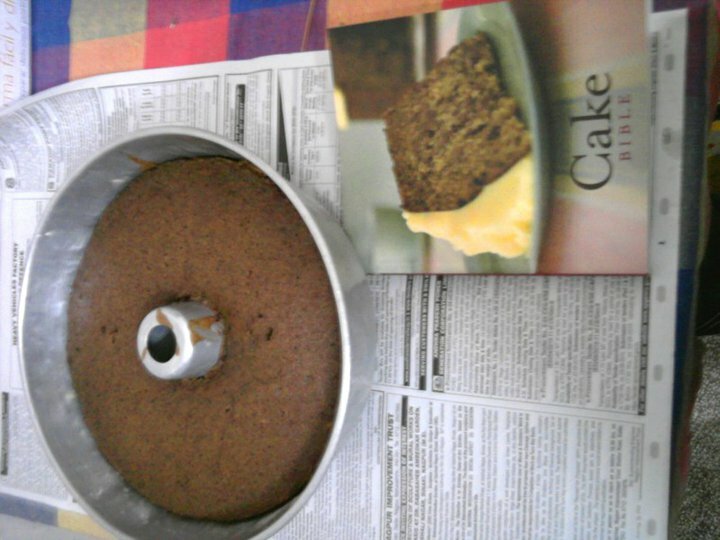 Note: This recipe was taken from the Cake Bible from Penguin Books You can see the book in the plain cake pic! My mouth is watering…and you know what? I think the half-eaten cake pic looks really delicious! your cake looks yum!! i chanced upon u r blog when i was searching for craft shops in chennai.love u r blog !! !